Trump’s nomination of Brett Kavanaugh for the US Supreme Court is both less and more important than the Democrats are saying. It’s less important because what really matters is the federal appeals court. As Oaklandsocialist pointed out in a previous article, the appeals court hears and rules on about 60,000 cases per year whereas the supreme court only hears about 80. This means that it’s really the appeals court that has the final say in almost all federal cases. Smelling blood in the water, the Republicans forced vacancies to pile up under Obama, so that Trump has been able to nominate over 100 judges for the appeals court. Some of them he had to retreat on when their links with the KKK and similar ties were revealed. But that tells us what sorts he’s been getting nominated – with hardly a squawk from the Democrats. It’s more important because, as important as a woman’s right to an abortion is, there’s another issue that encompasses that and more: How far Trump can go as an individual. 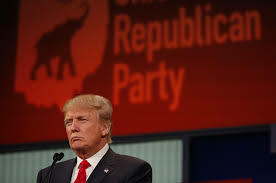 Let’s not forget that Trump has totally taken over the Republican Party. Through this, he’s taken over congress. He now is en route to controlling the federal court system. This takeover has to be seen in light of the famous “division of powers” that was established by the framers of the US Constitution. At the time of the writing of the Constitution, James Madison, the intellectual leader of that drive, warned about the working class “becom(ing) the tools of opulence and ambition”. He was referring to some demagogue using popular resentments to advance his own personal interests at the partial expense of the ruling class as a whole, which is exactly what has happened with Trump. This was why the framers established the division of powers between the three branches of government, in addition to preventing the working class as a whole from ever gaining direct control over the government. 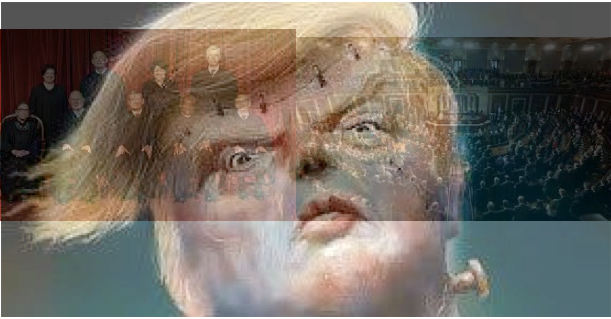 It is a symptom of the degeneration of US capitalism that Trump has gone as far as he has. The question is how much further can he go? Trump is so close to him because of his links with Russian oligarchs. To answer that, we should consider the predicament Trump finds himself in as far as the Mueller investigation. Something is afoot. A number of Trump’s co-conspirators are now turning on him, including Michael Cohen and Paul Manafort. This is similar to the threat posed to a mob leader when one of his top lieutenants turns government witness. 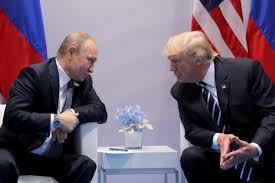 Trump’s collaboration with Putin and Co. is only the symptom of the real basis of his criminal activity, which is money laundering for the Russian mob/oligarchs. So far, Corporate America has been very reluctant to open up that issue because such money laundering is rampant throughout real estate industry, meaning so much of finance capital is involved. But Trump has two concerns: One is to maintain his base among evangelicals, racists and other reactionaries. The other, which is connected, is to ensure that Mueller does not come up with anything that could endanger him criminally, politically or financially. Both these goals combine through Trump’s move down the road to direct personal control of all sectors of the federal government. And this is where Kavanaugh comes in. In another instance, Kavanaugh went even further, claiming that a president is entitled to refuse to enforce a law that he or she considered to be unconstitutional. This usurps the traditional role of the federal courts and places even more power in one person’s hands. Kavanaugh has not always held to that view. He participated in the Starr investigation of then-President Bill Clinton. In that case, the investigation found in favor of impeachment partly because Clinton had refused to accept the demand of a subpoena! Kavanaugh’s partisan loyalty to the Republicans is further seen by his participation in the fraudulent election of George Bush in 2000. For those who weren’t around at that time: The election of Bush vs. Gore hinged on the outcome of the vote in Florida. Gore won the vote there, but it was fraudulently miscounted. An attempt to get a recount was opposed by Bush’s legal team, which succeeded in winning a Supreme Court ruling. This was an important step in the partisan (Republican vs. Democrat) direction of the Supreme Court. 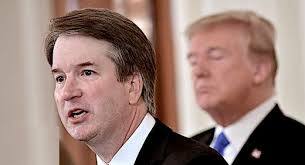 Kavanaugh was member of Bush’s legal team that ensured the fraudulent outcome of that election. In another case, Kavanaugh served as a pro bono (free) lawyer for the far right Cuban emigre community that had coalesced to keep the Cuban child Elian Gonzales in the United States. The only law they really recognize is the law of the jungle. That law says “might makes right”. With their elevated seats and black robes, in general judges are meant to give the image of standing above class and partisan political interests. 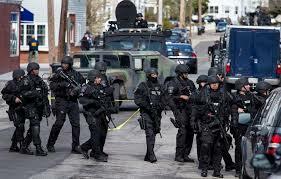 Their role is to maintain “the rule of law”, or that is what is pictured. This is an important element in maintaining the faith in capitalist or “bourgeois” democracy. That confidence in the Supreme Court was weakened with their ruling in the Bush “election”, as has been the case ever since in general. A court ruling in favor of Trump would weaken it even further, especially if it were a divided ruling, with Trump’s two appointments ruling in his favor. 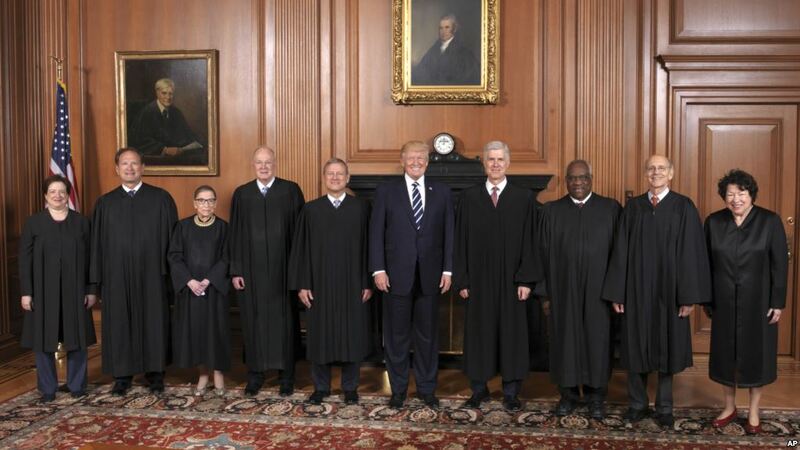 “The justices must understand that it would be a disaster for the court, as an institution, to divide 5-4 on the question whether Trump can ignore a subpoena, with two Trump appointees in the majority,” said prominent law professor David Strauss of the prestigious University of Chicago. But it is unlikely that such a ruling would be anything but a divided ruling. Is this not a direct threat? If there’s one thing we should have learned about Trump, it is to take his rhetoric seriously, and we should consider these comments in conjunction with his rhetoric about millions of “illegal immigrants” voting. What would it take to get a few Republican secretaries of state at the state-wide level to fake the vote count? In fact, what would it take to manipulate access to the polls by limiting the number of polling places in Democratic precincts, which is what has been done in the past? So a situation could develop in which direct and openly fraudulent personal control over all wings of the government could be seized by a corrupt (even in the capitalist sense of the term) demagogue. How far would he go? What would happen if there were mass protests following a fraudulent “election” in November? Back in 2000, such protests started to develop in Florida around the Bush “election”. Then, the Democrats and their representatives including the AFL-CIO did everything in their power to squelch such protests and to channel everything through the legal challenge, which failed. They’d try to do the same thing again. What would be the role of the “progressive” Democrats, including Sanders and Ocasio-Cortez? It’s hard to see them splitting from their party line except in the face of a true mass movement from below. Which is all the more reason to concentrate on building such a movement and remaining completely independent from these types, rather than on strengthening the liberal/“progressive” wing of the Democrats through getting their members elected. How far could the and Trump go? Another scenario could be that such protests start to develop and Trump is able to repress them through outright brute force, imprisoning thousands. In that case, an entirely new chapter would open up in the 200+ year history of US capitalist rule.